The objective of the Travel Support is to facilitate establishment of bilateral partnerships between the Donor States and Romania with the intent to prepare joint project applications for the upcoming call(s) under the Programme. Increased Renewable Energy production capacity – which targets investments in increased production of renewable energy from various sources, i.e. hydropower, geothermal, biomass/biogas, wind and solar. Increased energy efficiency and reduced emissions in all sectors1 – which targets investments in measures such as (the list is not exhaustive): increased energy efficiency in buildings (renovation, building system upgrade, smart buildings) or in the transport sector (public transport like electric busses or busses powered by biogas), implementation of modern technologies and ICT that lead to energy efficiency, increased energy performance of production processes and products. R&D within the energy sector – which aims to contribute towards increased cooperation between research institutions and enterprises. Industrial and experimental research projects that deliver impact during the programme lifetime will be targeted. Technology validation in lab and relevant environment, prototypes, demo and pilot projects, system qualification and making the technology ready for the market are aimed under this Programme focus area. Electrification of households – which is mainly targeting not-profitable projects from an investor’s point of view (Net Present Value negative and Pay-Back Time more than 20 years). These guidelines describe the criteria for this call for Travel Support. What is offered? EUR 1.000 for Liechtenstein / Romania, Romania / Liechtenstein. - Continuous submission of applications (until depletion of the budget). - The Travel Support is awarded as de minimis aid under “COMMISSION REGULATION (EU) No. 1407/2013 of 18 December 2013 on the application of Articles 107 and 108 of the Treaty on the Functioning of the European Union to de minimis aid” as published in the Official Journal L 352, 24.12.2013, pages 1-8. - NOTE: in case a Romanian entity wishes to visit one entity in Norway and one in Iceland, they are eligible for EUR 2.700 and in case a Romanian entity wishes to visit one entity in Norway and one in Liechtenstein, they are eligible for EUR 2.200. In these cases, Innovation Norway will award 1 Travel Support, hence, no need to submit 2 applications. - Total budget for this call is EUR 100.000. - meeting agenda in Romania/ Norway/ Iceland/ Liechtenstein. 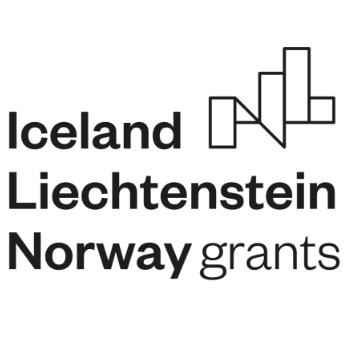 The following entities are eligible for financial support under this call for Travel Support: any public or private entity, commercial or non-commercial, as well as non-governmental organizations established as a legal person either in Romania or in Iceland, Liechtenstein or Norway are considered eligible project applicants and partners.  An applicant should choose single or several focused areas in one travel.  Travel Support is awarded per entity and not per person. - The applicant has to present that they have an eligible project idea, and that they intend to be involved either as a promotor or as a partner performing substantial tasks in the project. The travel has to be performed by the entity awarded the grant. - Reimbursement principle (you cover the expenditures from own funds first and ask for reimbursement from Innovation Norway after the travel). (b) Proof of travel, i.e. confirmation of completed travel from travel agent/airline company, ticket/boarding pass or similar.  for NGOs – a copy of the statute, in force on the date of submission of the request for reimbursement. (b) should be sent, stamped and signed, scanned, at the Programme’s official email address - RO.Energy@innovationnorway.no), within maximum one month after the travel took place. - The costs are reimbursed to the entity that has incurred the expenses and not to a natural person. - The costs are reimbursed only in EURO, and only in the bank accounts of the legal entities that applied for Travel Support. - planned activities/costs are eligible. Applications for Travel Support are assessed and awarded by Innovation Norway on a continuous basis, until the depletion of the available budget.